Fillers are a type of injectable aesthetic product used to add volume, alter the contours of the face, and fill in wrinkles. A common area to inject fillers is in the cheeks, to provide structure and firmness to the subcutaneous tissue that has been lost due to causes that are both intrinsic (genetic & inherited aging process) and extrinsic (external like smoking and sun exposure), reproducing the cheekbones that have become less pronounced with aging. It can also be used to inject areas such as the lips to help fill in the vertical lines and thinning of the lips that have been reduced in the aging process. Fillers can help with softening the Nasolabial folds (which are the lines on both sides of the mouth that are more pronounced with smiling) and volumizing the areas of the face that have lost fat and bone as a result of the aging process like the corners of the mouth and the lines coming from the corners of the mouth to the lower chin. It can help reform the jawbone facial structure and thinning hands, resulting in a fuller, smoother and more youthful appearance. Dermal fillers are among the most popular aesthetic procedures because they carry almost immediate results, minimal risks and little "down" time. Dr. Schacht provides topical numbing medicine, utilizes cold to help with anesthesia and will even perform local anesthesia and/or nerve blocks depending on the client's desires and pain tolerance. Dr. Schacht truly caters to each individual's needs, combines different techniques and approaches accordingly. Non-surgical treatments like Botulinum neuromodulator, which include Botox® Cosmetic, Xeomin® and Dysport® are also available, but work very differently than dermal fillers. They work to relax the muscles of facial expression that have become so pronounced over time that the wrinkles they produce may even occur at rest. By relaxing these muscles, the deep lines will soften and take years off your appearance. Sometimes additional dermal filler may be needed to diminish these lines even further, especially if these wrinkles occur at rest. The areas treated with Botulinum neuromodulator are the vertical lines between the eyebrows that occur during frowning, scowling, anger or even intense concentration. These lines can give away your emotional state when you don't even realize it and you can appear sad or upset when you actually aren't. Botulinum neuromodulator provides the smoothness you desire. Botulinum neuromodulator is an excellent choice for smoothing out horizontal wrinkles on the forehead that occur when you raise your eyebrows and around the eyes for "crows-feet" which are the lines radiating from the corners of the eyes when smiling. For best results, Botulinum neuromodulator treatment can be combined with popular fillers like Juvederm®, Belotero Balance® and Restylane®, all of which are composed of hyaluronic acid, a chemical found naturally in the skin which becomes depleted with aging. These fillers are commonly used to correct the nasolabial folds, lips and other facial wrinkles. We also offer Radiesse®, a different type of filler composed of Calcium Hydroxyapatite that can achieve similar but longer lasting correction of facial wrinkles due to its stimulation of collagen formation. With our chemical peels, you can enjoy the therapeutic benefits of a customized medical grade facial treatment. 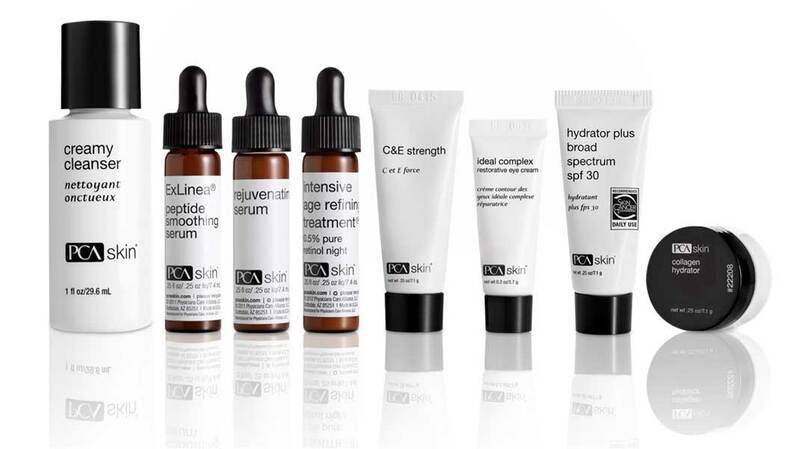 After a deep cleansing of the skin, the chemical peel is performed using the PCA skincare line. The chemical peel is tailored to the client's needs. These peels can be performed based on the client's overall skin conditions as well as the client's specific problem areas. We offer a variety of chemical peels to meet the needs of each patient and the depth and degree of exfoliation, or peeling, is individualized to the patient. Even the most sensitive of skins can tolerate some of our peels. We can treat conditions like Acne, help with the textural and pigmentary changes that occur with aging and sun damage and even help Rosacea. © Copyright Skin Concierge. All rights reserved. Tucson Web Design by Tagline Media Group.